New Delhi: During the aerial attack by Pakistan Air Force on Indian positions on February 27, Pakistani Mirage jets fired 11 missiles on the Indian Army posts along the Line of Control but could not hit any of them. Top sources said that the bombs fired in the attack included the H4 SOW bombs which can be fired from around 100 km at ground targets. Pakistan has used 24 F-16, J-17 and Mirage-3 fighter planes in the attack on Indian positions which could not cause any substantial damage on ground apart from causing injury to a civilian. 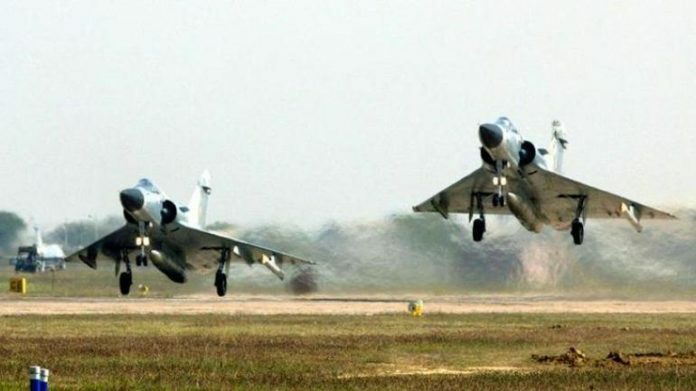 The remains of the Pakistani Air Force missiles including the AMRAAM and the bombs dropped by them have been collected by the Indian Army posts and troops deployed in different locations and handed them over to Air Force for further probe. The remains of the AMRAAMs were used by the Indian Air Force to be shown as the evidence to the international community and the American government that Pakistan used the F-16s in violation of American laws prohibiting them to be used by them against India. The sources said the Indian Army posts intended to be hit by the Pakistani Air Force were fortunate to not have been hit. The February 27 airstrikes underlined the importance of the Rafale fighter for the Air Force.